This is a special film, a lovely and deeply human romance with a killer cast (Jennifer Garner, Josh Duhamel, Tony Hale, and Natasha Rothwell are especially good as the supporting adults) and a truly funny and engaging script by Elizabeth Berger and Isaac Aptaker, based on the novel "Simon vs. the Homo Sapiens Agenda" by Becky Albertalli. 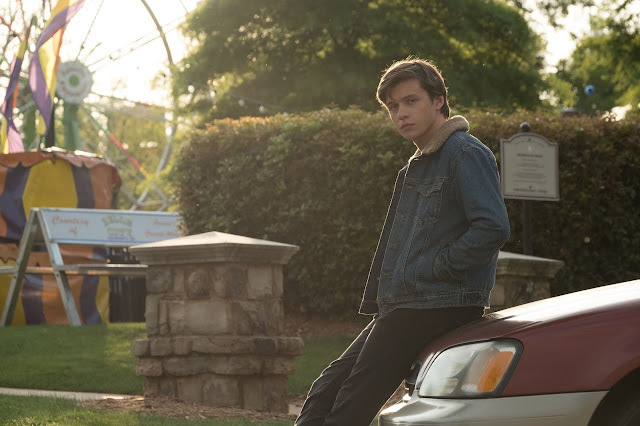 The film treats Simon's sexuality as no big deal, and yet Simon cannot bring himself to say the words "I'm gay," demonstrating how hard it can be even in a supposedly supportive environment. When those words finally do come, they land like a quiet bombshell, with Berlanti finding an understated beauty in Simon's simultaneous vulnerability and strength. It is a film that refuses to treat Simon any differently because of his sexuality - he's a kid with a crush, perfectly capturing the adorable awkwardness of high school romance. Now playing in theaters nationwide.